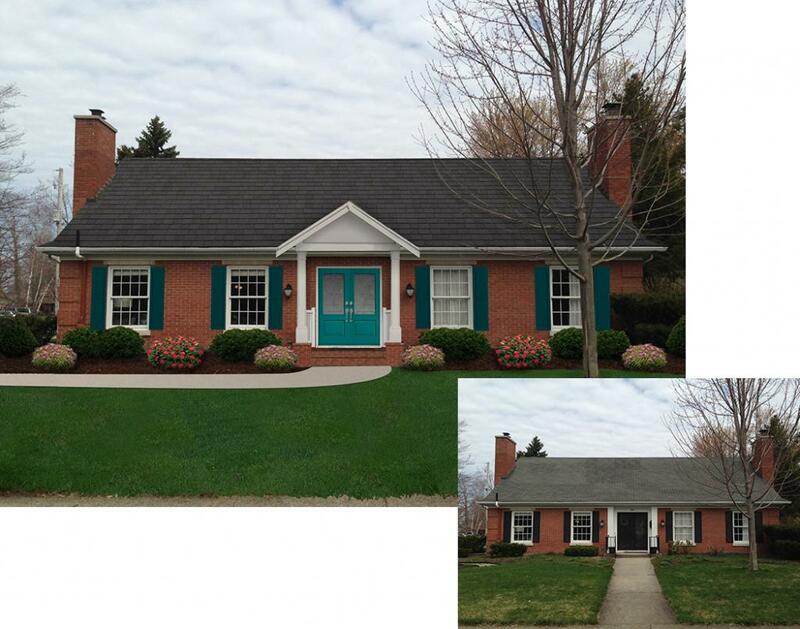 Every year the entrants in the Shake It Up Color Contest do their best to grab the judges attention with their story about why their home is deserving of recommendations for a colorful makeover and the cash prize that goes along with it. This year the Tucker family rhymed their way into one of the top finalist spots. You can read their makeover-worthy words and see the rendering of the new look I put together to transform their Cape Cod home below. There once was a home with no curb appeal. It’s location? Too embarrassing to reveal! The owners were eager to “shake up” the facade and give new color to their basic cape cod. They would love a DaVinci roof and a front porch. But who could help them carry this torch? So they took the photo and filled out the form. They wrote in a way that was out of the norm. With their entry submitted, they couldn’t help but dream. The possibilities made them both beam! “Imagine a front porch with Fypon columns and rail. You may have to get me after getting the mail!. They went on and on until late in the night. They desperately wanted their home to be bright. Their poem made me smile and must have captured the attention of the other judges too because when the votes were tallied the Tucker’s home was chosen as one of the finalist to receive makeover recommendations and a chance at winning the Grand Prize. One of the things that most detracts from this home’s overall appearance is the roof. It is too light in color and the look of the surface is inconsistent making it difficult to notice any of the other details about this house. Replacing the roof with DaVinci Roofscapes Multi-Width Slate in Slate Gray would make an immediate and very noticeable improvement. Black is a popular color choice for a brick home however in some cases it can look more like a dark void than an inviting entrance. This is especially true when the door doesn’t have glass and is in a recessed entrance. To give make the entrance more welcoming I chose a Therma-Tru Classic-Craft Canvas Double Doors with 2/3 Lite 1 Panel with Longford glass. Then choose a paint color that complements the brick color. This will help the front door to stand out. If the front door is often in shadow as it would be under a porch, overhang, or in a recessed entrance go slightly brighter with your color. I chose Sherwin-Williams SW 6941 Nifty Turquoise as a cheerful update for the entryway. The shutters were replaced with Fypon Double Raised Panel Shutters. Instead of matching the shutters to the door color I like a color that is darker than the door color but still in the same color family. Sherwin-Williams SW 0064 Blue Peacock would be a nice choice to frame the windows and set off the turquoise on the door. With the hope of creating a smile where there once was a frown. As I think you can see, I am better at design than writing a poem.